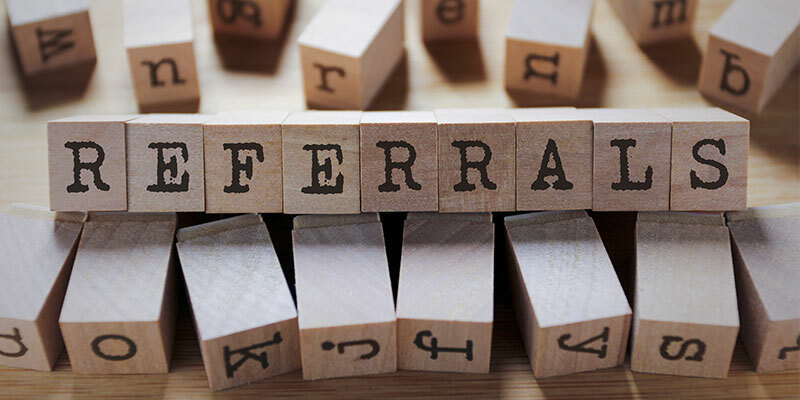 Referrals, while an important part of attaining sales goals are an invaluable educational opportunity for your clients. Similar to other financial institutions, your clients likely identify you as their checking or savings account provider. Of course, they also may have a mortgage or auto loan with you. However, there are countless other benefits and services you offer that they don't even realize are available. I consider these as an opportunity to stand out from your competitors, add non-interest income, and enhance your client relationships. I'll share a story that cemented my loyalty to a particular home-improvement chain. I owned a home that had a small deck whose boards were rotting one by one. In an attempt to keep this a do-it-yourself project, I purchased a circular saw and begrudgingly made the first of many trips to the hardware store. Each trip involved an awkward drive home with a long board protruding from the window. Once home, I had the arduous task of trying to precisely cut the board which I was standing on while propping it on a step. All in all, it was a massive headache that went on intermittently until I experienced a game-changing moment. As I was checking out on one of my trips to purchase yet another board, the cashier asked if I would like them to cut it for me. I must have looked shell-shocked as I asked what he meant by “cut it for me.” He responded that if I went to the end of the lumber aisle and pressed the button, an attendant would cut the board for me free of charge. I suddenly realized that all of my trips home with lumber sticking out the car window, standing precariously on the board while I cut it with one hand, could have been avoided all along. Although I was exhilarated by this revelation, I wondered why it had never occurred to me that the store offered this service and why it had never been mentioned. Regardless, they did make the referral, and I'm now a customer for life. While a seemingly simple gesture, it serves as a great reminder how valuable educational opportunities can be. I should also add, I’m guessing that no one read that story and thought the cashier was a pushy salesman! For help implementing or enhancing your retail investment business inside your bank or credit union, please call me at 866-454-8582.